In the news this week, the Tourism Ministry announced that the state will develop an Orchid Trail as a major new tourism product in Sabah. Various sources have put the number of orchid species from 1,200 to 2,000 in Sabah alone. The main reason orchids have such bio-diversity in Sabah is due to the fact that 60% of land is under natural forest, thereby ensuring orchids can be found in its natural environment. The Sabah Tourism will develop trails where visitors can view the orchids in their natural environment. A good place to visit is the Tenom Orchid Centre is located near Tenom town, at the Lagud Sebrang Agriculture Research Station. Tenom is one of Sabah’s interior towns on the Crocker Range, 3 hours distance by car. Tenom is the gateway to Murut country, one of the major indigenous ethnic groups who are also known as Borneo’s head-hunters. There is a tour that offers a train ride to Tenom, through the rainforest of Sabah. It is possible that the train service is unavailable at present, as the last I heard the tracks were to be upgraded. I read that some parts of the Borneo rails were laid in the late 1890s, which seems quite probable. I do know that the tracks were alright for travel to Padas river in July for white water rafting. You will have to check with tour agencies on this. I have traveled the rails from Kota Kinabalu to Beaufort many years ago, and from what I have heard, nothing much as changed. While the seats and coaches are not to the standard of British Rails, it is an adventure. 6.30am Drive to Beaufort town, about 1 1/2 hours away. 10.40am Arrive in Tenom, visit Tenom Orchid Centre, Tenom Agricultural Park (depending on tour). 1.30pm Lunch in Tenom town. 2.30pm Board train back to Beaufort. 5.30pm Arrive in Beaufort, transfer back to Kota Kinabalu city. It will take a full day and the tours are in the RM300 (USD100) price range. The tour typically includes all the entrance fees, transfer fees and lunch. Taking the train (check availability) takes you through rural Sabah, and you get to experience the rugged side of Sabah. Should you wish to go by car or coach, travel time is about 2 to 3 hours one way, through scenic mountain views. There are 3 roads that will take you to Tenom, I’ve driven on 2 of them. Breathtaking is the word to describe it. And for those not used to traveling on Sabah roads, even hair-raising. 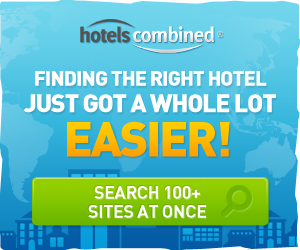 Need to find Hotels in Sabah? Find them on our website. I am the founder and current director of the Orchid Conservator and Research Center located at the Jilin Agricultural University Changchun China. I would like to talk by email to any one at the Tenom Orchid Center about orchid seeds for our research. Prof. Kenneth D. Harrison Sr.
Let’s hope someone can pass this on to the Tenom Orchid Centre. I’ll try look up their contact email, I couldn’t find their website anywhere. Or you can get in touch with me and I will forward it to Kenneth Harrison.